Portuguese,Spanish, Russian, Dutch, German, Italian. Multiple video formats available: AUTO /PAL/ NTSC. 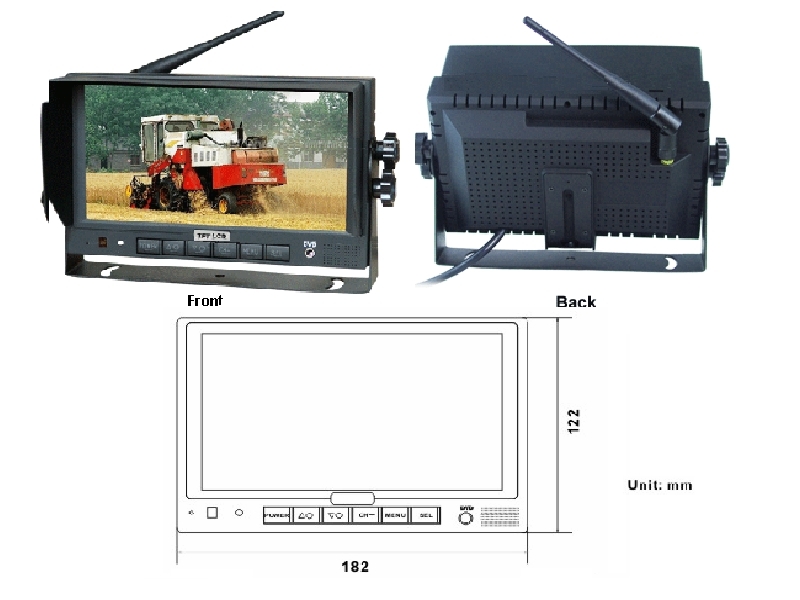 1DVD input and 3 channel receiver, 1 channel for video output and 1 channel for audio output. Dimension: 7.20" (W) x 4.8" (H)1.6" (D) Operates from 10~32V. Support 12V or 24V automobile battery.